This warming muscle salve made with cinnamon, cayenne and ginger is so soothing on sore muscle and achy joints. Plus, it’s a snap to make! Cayenne and ginger have been used for centuries to treat a myriad of ailments due it’s natural pain-relieving properties. Primarily a topical pain reliever, capsaicin helps relieve nerve, muscle and joint pain by blocking a chemical in the body known as “substance P” that transmits pain signals to the brain. When cayenne is used topically it can relieve many different types of pain, from diabetic neuropathy, shingles, migraine headaches, backaches, arthritis, menstrual cramps and bruises. As a personal goal for the year, I have made a point to regularly work out, and, as a result have been living daily with sore muscles. I decided to whip up a batch of salve made with the warming spices of cinnamon, cayenne and ginger and loved the end result. In fact, I also use it on an old injury that has become arthritic and it helps so much. This warming muscle salve is a snap to make and a little goes a long way. 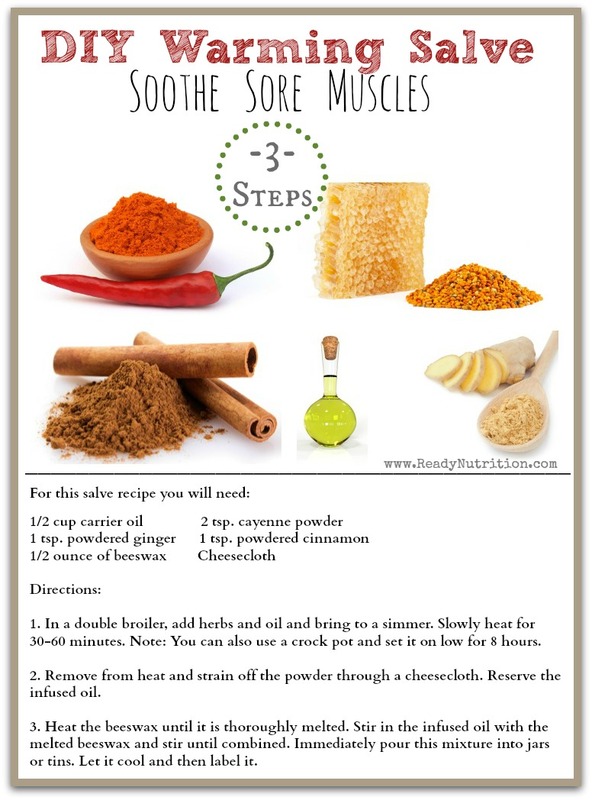 The recipe below makes four ounces of salve, so if you want more go ahead and double the recipe. Please make a concerted effort to wash hands after use. It can irritate your eyes due to the cayenne pepper. Aside from that small detail, it’s a great salve to have around. To infuse the herbs, in a pan, add carrier oil and herbs to a double broiler and slowly heat for 30 minutes on simmer. Or you can add the ingredients to a crockpot and set it on low for 8 hours. Remove from heat and strain off powdered herbs through a cheesecloth. Reserve the infused oil. Heat the beeswax until thoroughly melted. Stir in infused oil and stir until mixed. Immediately pour mixture into jar or tins and allow to cool. 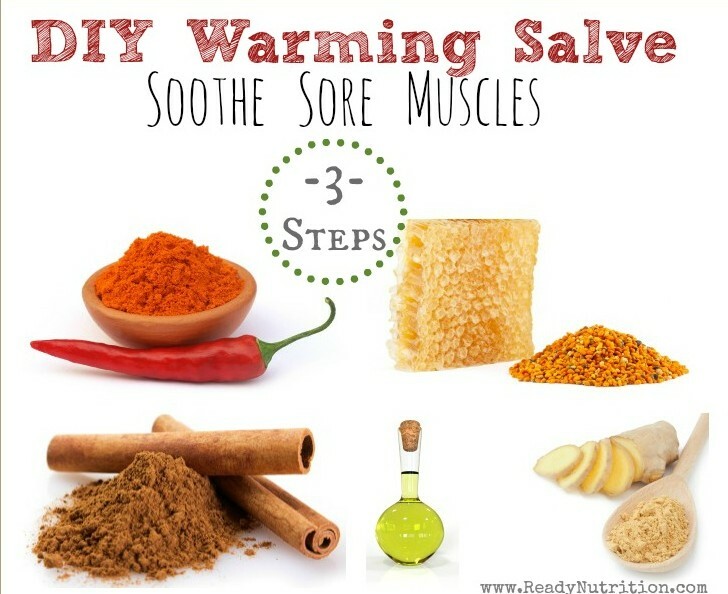 When you are ready to use salve, apply a small amount to sore muscles and joints and lightly rub into skin.